Dr. Abiy Ahmed speech is not like any other ruling party officials; it has got a different tone and texture. It is unique, informed and speaks of knowledge and experience. A few years ago most Ethiopians were oblivious as to who Dr. Abiy Ahmed is. Apparently, he was lurking as a member in Oromo People’s Democratic Organization (OPDO), which is one of the member party of the ruling coalition, (EPRDF), ostensibly with growing influence and hence power recently. Now Dr. Abiy is known among young Ethiopians in the country as a sensible person with a great power of eloquence. He accepts invitations to make speeches in events organized by young Ethiopian writers and many seem to see in him a bright person with a love for reading and endowed with a skill to articulate his ideas. 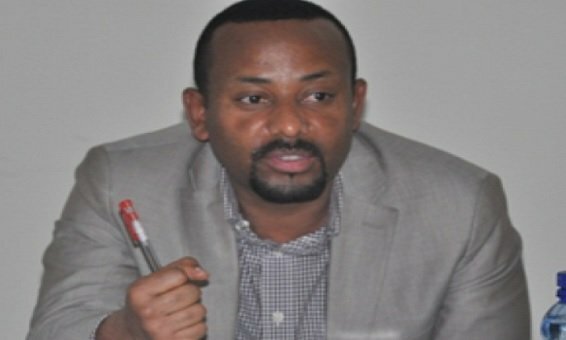 Who is Dr. Abiy Ahmed ? A look into his recent past reveals that he was a PhD candidate at the Institute for Peace and Security Studies (IPSS), a relatively new department in the country and he already graduated from his PhD program. In October of 2015, he was appointed as the minister for Science and Technology. In terms of relation with the existing government in Ethiopia, there are reports that he worked in the military intelligence unit although it is not known how long he served and where he was assigned. Those who have known him for a long time add that he was a member of Ethiopian Peacekeeping force in Rwanda. Currently, he is the vice president of Oromo region of Ethiopia and holds a senior position within OPDO party structure. To say that Dr. Abiy Ahmed is a member and senior official in OPDO is to say that his that his political worldview revolves around ethnic politics. Yet again, when Dr. Abiy speaks on matters outside of the realm of Ethiopian politics, could be social relation, culture, knowledge or what have you, it is hard to imagine that a person of his caliber is entrapped in ethnic politics; perhaps he had no other option and has no the capacity to create something else. In his latest public appearance, he spoke passionately about the power of word ( and/or concept); it’s making or breaking power. In this speech (watch the video below), he made references to the social malaise. For example, he spoke about the attitude that is making the youth abandon Ethiopia behind only to die in the Libyan desert and under worse circumstances. “What makes a situation look like a hell,” says Abiy Ahmed, “is the way we look at it.” Alluding to the importance of hardship in life, he brought up a metaphor of honing steel; rough surface is meant to sharpen us. Of course, there is noticeable reservation about his political rhetoric and if he is the kind of person that will commit himself to live what he preaches. While we have to leave that judgement that for time, it is not disputable that the passion for reading and knowledge he demonstrated his recent public appearances speaks to the fact that he has the power to ignite a movement against social malaise in the society – a campaign the outcome of which could be positive in terms of transforming hate and ethnic-based politics entrenched in the last three or so decades to that of consensus and rebuilding the country based on ideas rather than living hate and division under the guise of “nations and nationalities” , ethnic (“identity”) politics.